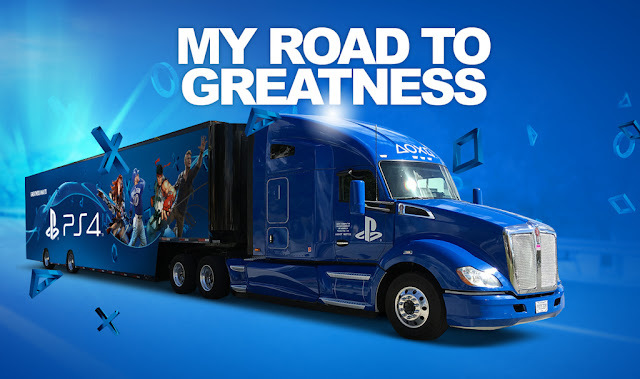 When PlayStation announced that the Road to Greatness tour was back for 2016, the comments section on their post immediately flooded with fans asking for the truck to come to their hometown. Unfortunately, as much as they would love to stop at every city in America, there are only so many events in a year that they can go to. Are you the ultimate PlayStation super fan? Tell PlayStation why, and you could win a chance to have the Road to Greatness truck and the ultimate gaming party brought to you! This is your chance to go hands-on with unreleased games, PlayStation VR, and win a custom PS4 prize pack worth over $1,000! To enter, go to http://roadtogreatness.com by June 30 and tell PlayStation why you deserve to win. But don’t lose hope just yet! For the third year in a row, we’re hosting the My Road to Greatness contest, where four super-fans will be selected to have their own personal PlayStation celebration in their city.